After years of development, series 755 is now introduced as a smarter, more efficient apartment monitoring system utilizing the latest CPU controlled technology. 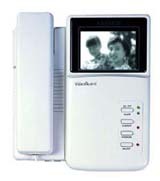 System comes in two versions - The MK-755 Security Alarm audio & video intercom system or the PH-755 audio & video version. 3 supervised zones (1 24hr zone for gas / fire detect and panic, 2 zones for anti-burglar zones) in system; the 1st anti-burglar zone can be made a delayed set and a switch for starting the system. Review: Checking the last 10 call memories. Consumption: standby 200mA. operating 600mA. 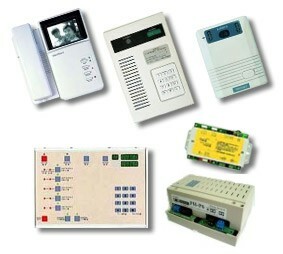 Alarm burglar function: 3 supervised zones as specification.